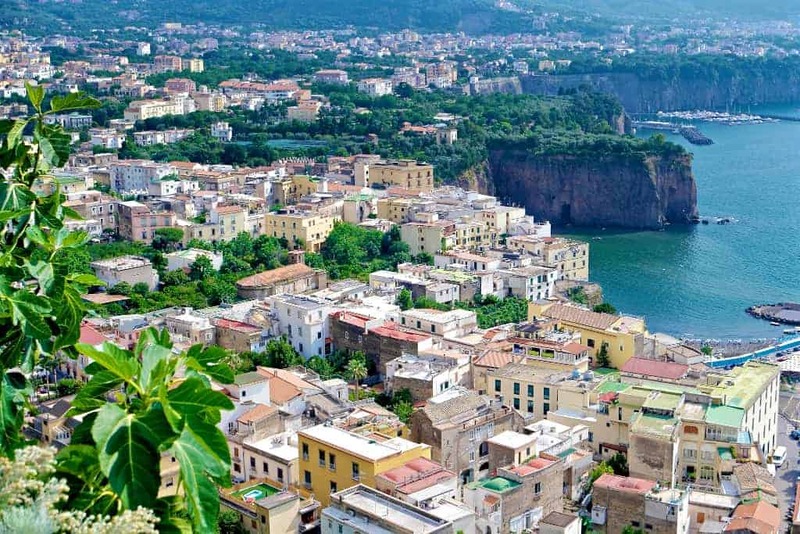 One of my favorite places in the world is Italy, and from my encounters, I am not alone. The people, the culture, the history, the architecture, and oh, the food! One of my favorite souvenirs to bring back from my travels, are authentic recipes. They allow me to not only share some of the smells and tastes with my family and friends, but I also get to “relive” my trip. So when I was asked if I wanted to share this amazing new cookbook, Giada’s Italy: My Recipes for La Dolce Vita with my readers, I couldn’t refuse. Filled with stunning photography, mouth watering recipes and a glimpse of Rome, Giada’s latest book is a lavish exploration of her food roots and the lifestyle traditions that define la bella vita, with the contemporary California twist that has made her America’s most beloved Italian chef. America knows and loves Giada De Laurentiis for her lighter, healthier takes on classic Italian fare. In her newest cookbook, she invites fans and home cooks to get to know the flavors and stories that have inspired her life’s work. Here, she shares recipes for authentic Italian dishes as her family has prepared them for years while infusing them with her signature fresh flavors to make them her own, like in her Grilled Swordfish with Candied Lemon Salad; Spaghetti with Chianti and Fava Beans; Asparagus with Grilled Melon Salad; Bruschetta with Burrata and Kale Salsa Verde; and Fennel Upside Down Cake. 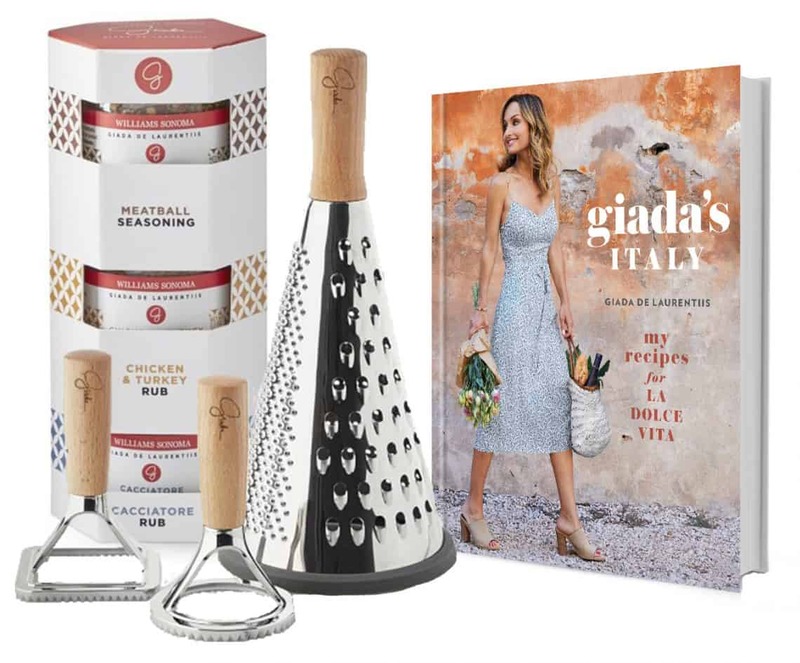 Enter for a chance to win Giada’s Italy: My Recipes for La Dolce Vita plus seasonings & ravioli-making tools from Giada’s Williams-Sonoma collection to bring la dolce vita to everything you make! ARV $120. 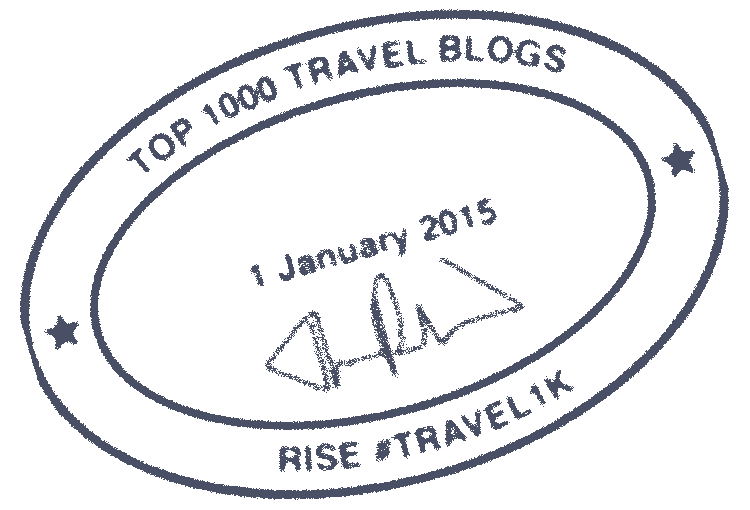 Step #1: Please leave a comment here on the blog with your favorite Italian meal or which recipe above you’d like to try first! I DEFINITELY want to try the Dark Chocolate Chunk salted brownies!!! And the Italian Sheet pan chicken with bread salad! Pizza would have to be my favorite Italian food, but I likely am partial to Americanized pizza. I have heard that Italian pizza is quite different, at least in terms of taste.